Polyesters are well known for clarity, light weight and strength in wide range of applications in flexible and rigid packaging. These packages just not hold food for storage, but are also very efficient ways of display in shelf such as visible packaging or blister packaging. Polyester chips are generally processed in blow film extrusion or sheet extrusion equipments, where films/ sheets are extruded in variable thickness ranging from micron level and can be either mono layered or multi layered, depending on the application. In multi-layer configurations, polyesters are used in base layer, where the base layer is coated or co-extruded with other conventional heat sealable materials. This results in challenges in high material costs and recyclability. Extruded sheets can also be shaped (thermoformed) into trays or open articles which are capable of holding, packing and displaying articles. However, there have been challenges in microwaving of these thermoformed articles. 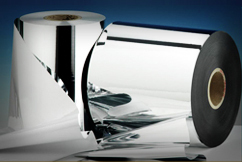 Ester at Specialty Polymers offer polyesters and co-polyesters capable of forming films/ sheets in various thickness which can be heat sealed or microwaved. Our polyesters are better alternatives to conventional materials, considering cost, performance and environment friendliness.